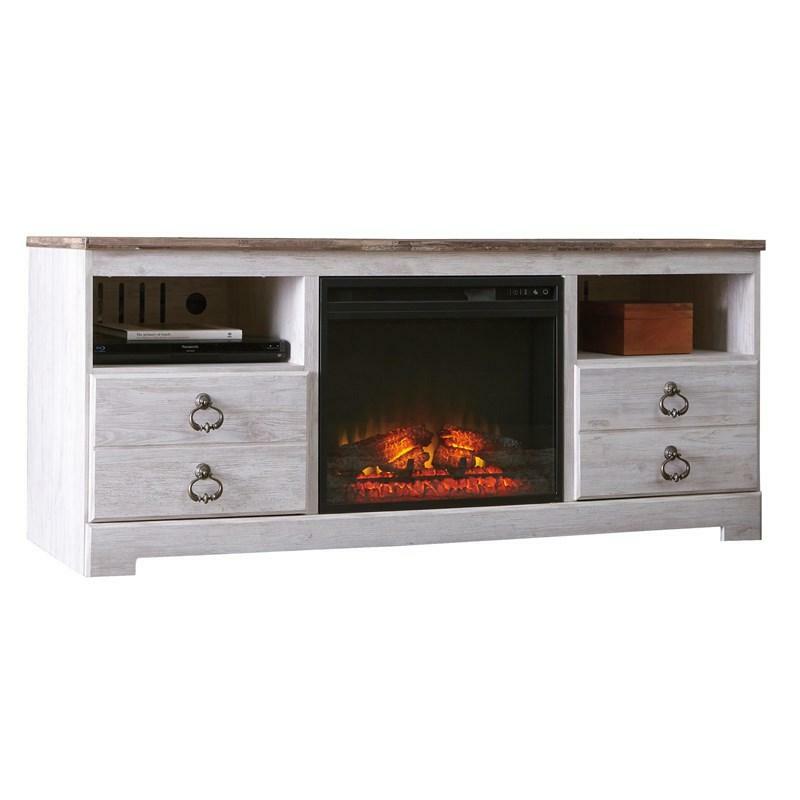 The Willowton TV stand with fireplace option is the ultimate statement piece for a coastal cottage or shabby chic inspired retreat. Whitewashed finish is wonderfully easy on the eyes. 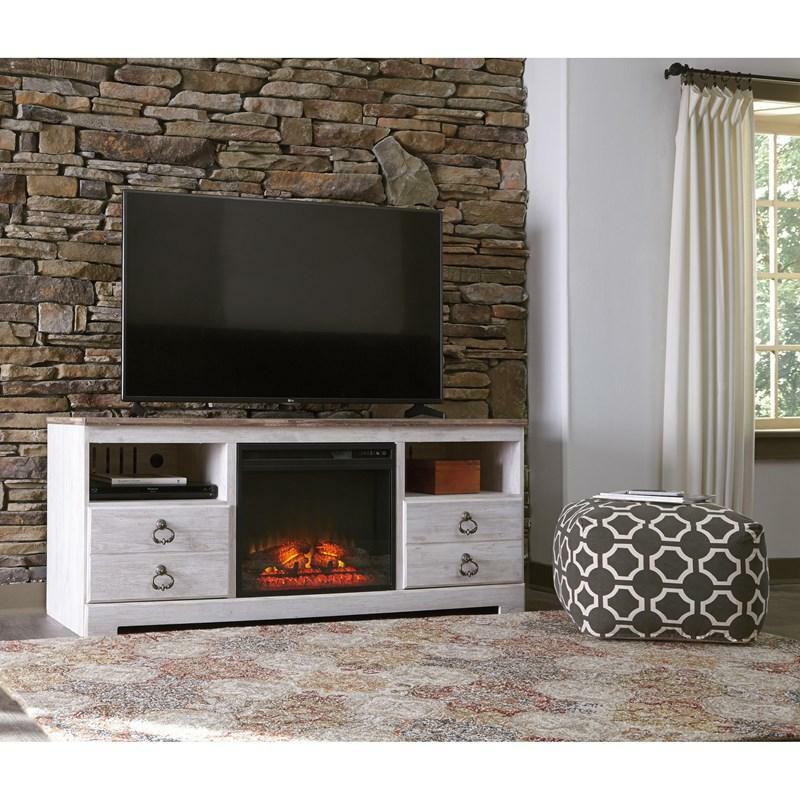 Paired with the TV stand’s unique plank-style top, it’s a driftwoody look that has our minds drifting away to beachy-keen escapes. 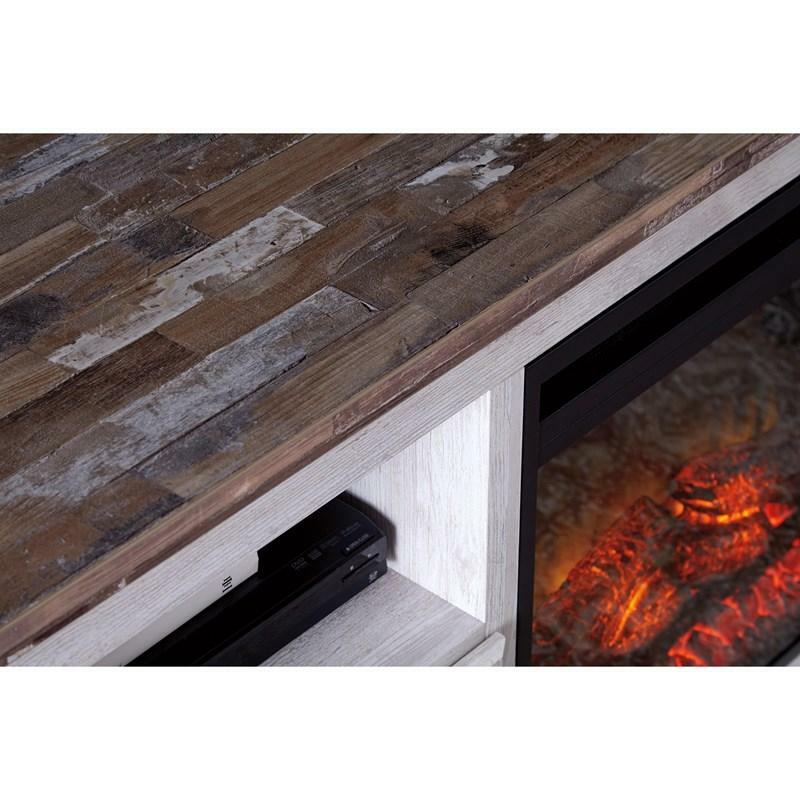 Enhance the sense of homey warmth by popping out the adjustable shelf and popping in compatible LED fireplace insert. Additional Shelf Information • Opening (2) 18.00" x 20.50" x 7.50"